Vitamins enable the body to use and assimilate the proteins, fats, carbohydrates and minerals that food provides. Vitamins and trace elements come to us in beautifully packaged products with a unique nutritional complement for our bodies to make use of. These beautiful whole packages are called fruits and vegetables. Most people know that vitamins and trace elements are important to their health. This is because they help enzymes regulate the chemistry of our body cells. Vitamins enable the body to use and assimilate the proteins, fats, carbohydrates and minerals that food provides. Vitamins and trace elements (like iron, copper, zinc, and manganese) are essential for our growth, development and metabolism by helping enzymes to function efficiently. Just think of the enzyme as a person with an assortment of jobs to do to keep their house clean and tidy. Then think of vitamins (known as a coenzymes) and trace elements (known as a cofactors) as the hired hands who assist the person to organise and clean in the most efficient way possible. Enzymes speed up certain important chemical reactions in our bodies and vitamins and trace elements help them do it. Unfortunately, some insecticides stop enzymes and their little helpers (vitamins and trace elements) from doing their job. Insecticides can either permanently deactivate the enzyme or destroy it. Vitamins, trace elements and enzymes work together as a team. Having vitamins and trace elements but inactivated or destroyed enzymes would be like having extra help to do cleaning and house tidying but not having anyone to tell you what needs to be done and no equipment to use. The helpers cannot do their job even though they turned up for work. Similarly, you may have the vitamin or trace element but cannot use them because the enzyme has been destroyed or rendered useless. What can you do for more vitamins? Buy organically grown fruit and vegetables. They supply essential nutrients without the poisons associated with plant crops grown using current conventional farming methods. When you eat a plant-based whole food diet and choose fruit and vegetables that have been grown using certified organic methods you will help yourself, your family and the environment. You also support fruit and vegetable producers who act kindly toward the earth. Put simply, we demand and others are happy to make money supplying, at the cost of the quality of life for others and us due to destruction of life support mechanisms such as air, water, and soil. Consumerism consumes others, us and the planet that we all live on. Globalisation hastens this demise. Help everyone and think before you buy. Ask yourself why? E.P. Solomon, R.R. Schmidt, and P.J. Adragna. (1990). Human Anatomy and Physiology (2nd Ed), Chapter 2 (pp36-75). Saunders College Publishing: Philadelphia. Vitamins and trace elements come to us in beautifully packaged products with a unique nutritional complement for our bodies to make use of. 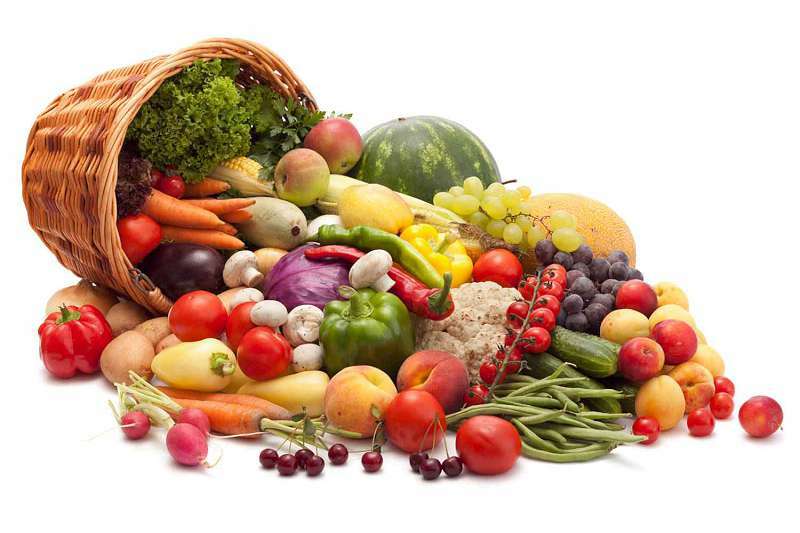 These beautiful whole packages are called fruits and vegetables.